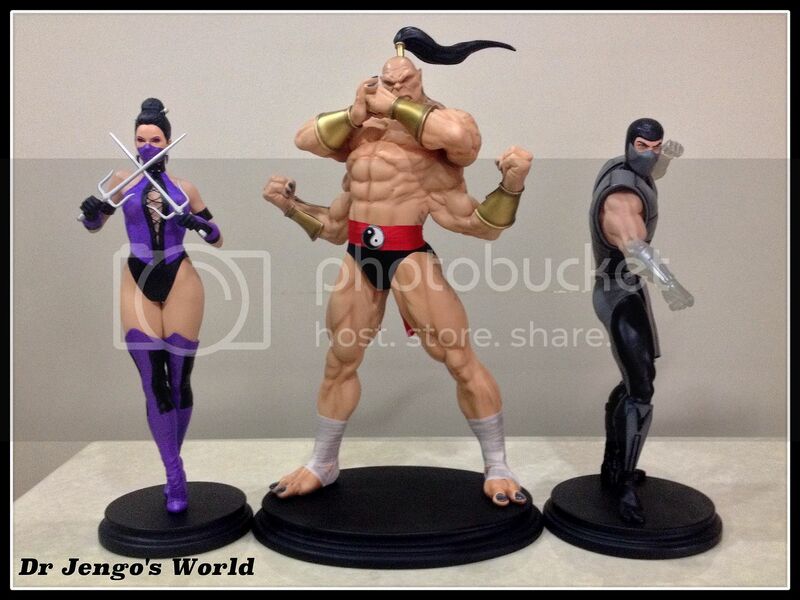 After receiving the 1/4 Scale Jade & Mileena Statues from PCS Collectibles, I wanted to check out the size comparisons to the rest of the Klassic line. Surprisingly, the ladies are taller than the male ninjas but do not be alarmed! 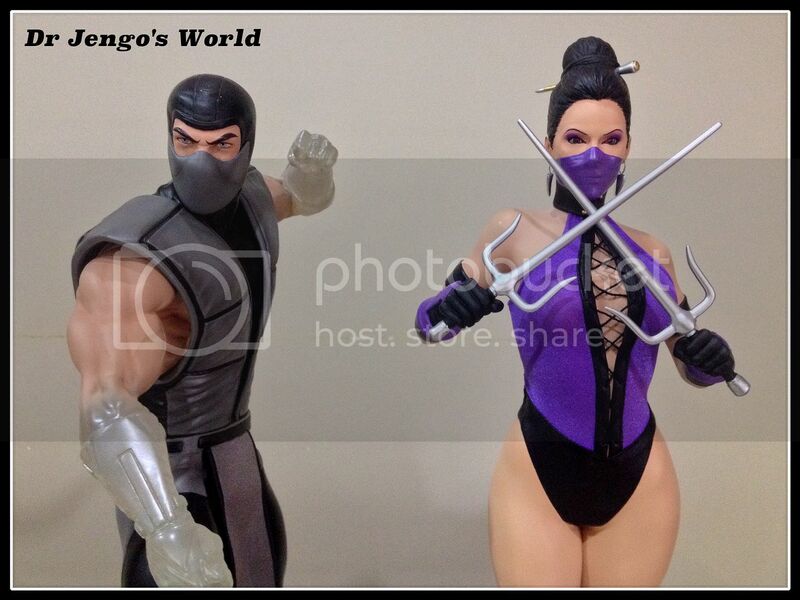 Mileena & Jade are in tip-toeing positions, so it makes sense. The Klassic line is turning out real fine and when putting them altogether, Goro just looks so much more beastly with his huge height difference. He just towers above the rest. 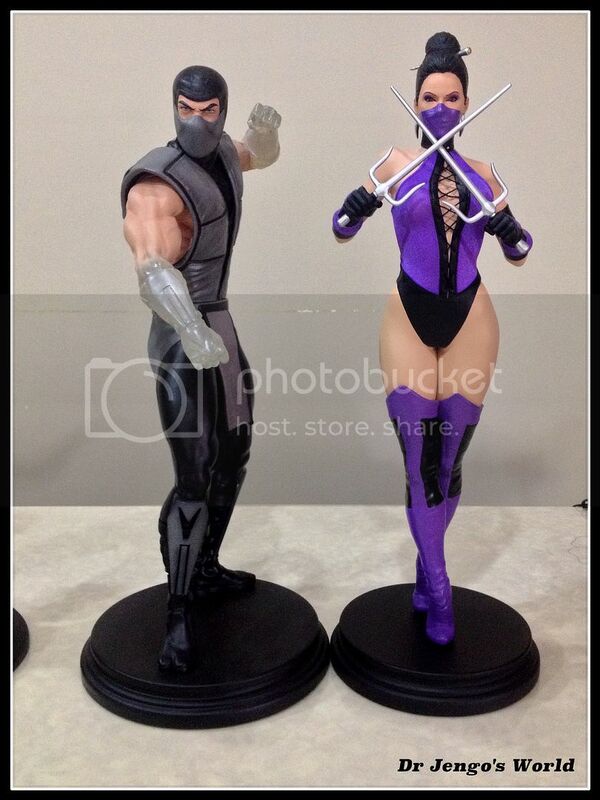 Can't wait to get Liu Kang & Raiden to put along with these!